Bergendal Workers’ Trust was established in 2006 as an equity project and has 32% shares in the Manenberg (Pty) Ltd farming business. 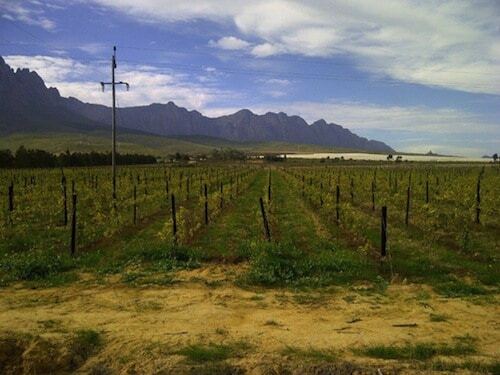 This Workers’ Trust developed 12hectares of vineyard (wine grapes) on Oukraalvlei in the Piketberg region. A total number of 91 beneficiaries are supported from this project. One of the Manenberg Trustees, Potgieter van Zyl, acts as a mentor for this Workers’ Trust and is actively involved in farming with the workers on a daily basis. The Bergendal Workers’ Trust has shown a lot of potential and was funded by the Western Cape Department of Agriculture (WCDoA). The WCDoA appointed Casidra to implement this project on their behalf, which was successfully implemented over a period of 1½ years. During the implementation process, the vines, irrigation system and trellising material were procured. This consisted of five hectares of irrigation and trellising, which were installed by the beneficiaries. The additional seven hectares of land were prepared for vines. The vines, soil fertilizer, trellising material and irrigation material were procured and successfully implemented. According to Casidra’s Project Manager, Gerrit van Schalkwyk, all the funds that were made available by the WCDoA were fully spent on the project. The beneficiaries acknowledged the receipt of assets and are extremely happy with the result.